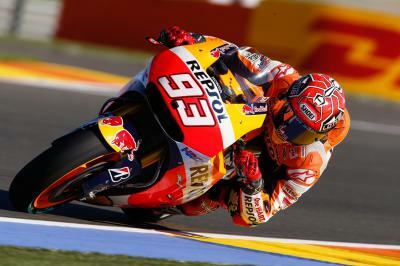 A positive start to the Gran Premio Motul de la Comunitat Valenciana for Marc Marquez, ending Friday in second. The final race of 2015 begun in Valencia and Repsol Honda’s Marc Marquez got off to a great start, ending the opening day of practice in second. Opening practice was spent with riders reacquainting themselves with the Ricardo Tormo circuit and settling back into riding after a hectic triple-header. A lot has gone on both on and off the track for Marquez, the Spaniard pleased to be back and enjoying riding his Honda once again. 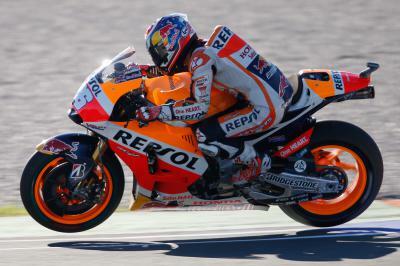 A positive first day allowed Marquez to find a solid base setting to work off. During Free Practice 2 Marquez and his team turned their attention to Sunday’s race, experimenting with a variety of tyres and different settings. The Hondas are especially hard on the front tyre, but Marquez is feeling confident on used tyres when running the hardest option. All the work of Friday has given Marquez and his crew a clear direction to follow for Sunday. Repsol Honda are aiming for a one-two in Sunday’s race and Marquez looks on track to be in the battle for the top two positions. Marc Marquez: “I'm happy because I went out on track and got back to enjoying myself riding; it was important and something I was really looking forward to doing. It's been a positive day because we did a good job with the setup of the bike. In the second session we worked hard with Sunday's race in mind, riding with used tyres and also testing the hardest compound. We are pretty clear about how we can continue to improve tomorrow, because the track temperature increased a lot and if it stays like this, we will have to concentrate on the durability of the tyres." 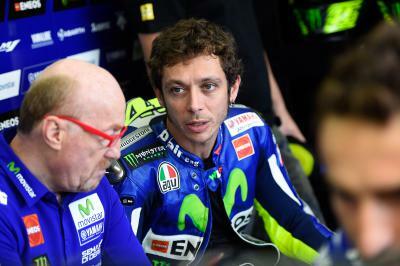 A change of focus for Rossi? 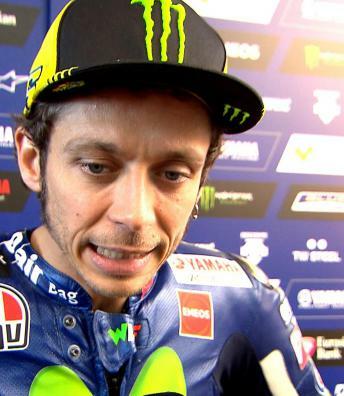 With the CAS rejecting Valentino Rossi's appeal, many assumed he’d focus exclusively on race pace during practice. But has he? 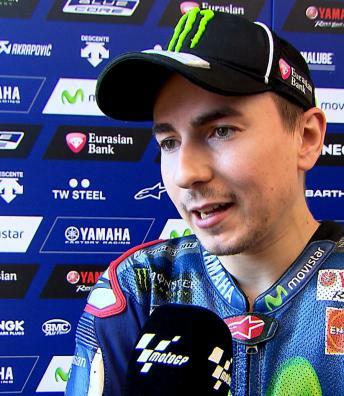 Jorge Lorenzo ends the first day of #TheGrandFinale feeling confident having topped practice. 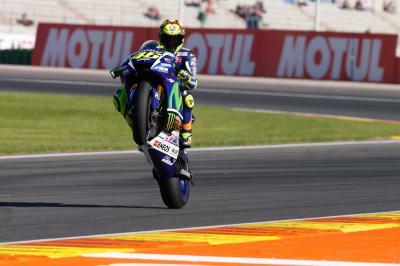 It was straight back to work for Valentino Rossi in Valencia having put the events of Sepang behind him. Third not enough for Dani Pedrosa as he struggles with rear grip issues at the Gran Premio Motul de la Comunitat Valenciana. 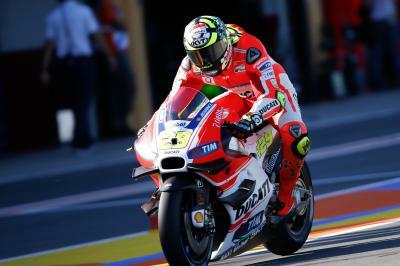 Andrea Iannone left frustrated on the opening day of the Gran Premio Motul de la Comunitat Valenciana. 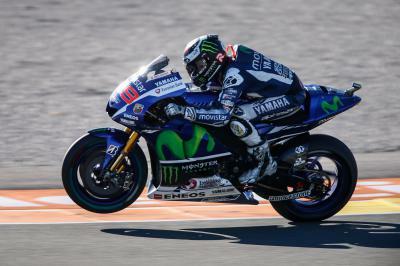 A difficult first day at the Gran Premio Motul de la Comunitat Valenciana for Bradley Smith, outside the top ten. 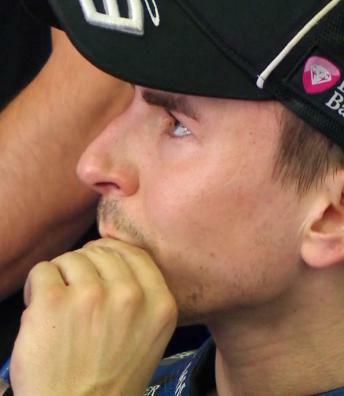 Lorenzo: "I'm comfortable with all tyres"
Rossi: "It'll be hard to use qualifying like free practice"
An incredibly disappointing 23rd for Scott Redding as the opening day of practice at the Gran Premio Motul de la Comunitat Valenciana ends. The Moto3™ World Championship looks set to be incredibly close, Oliveira seventh and only 0.180s slower than first. 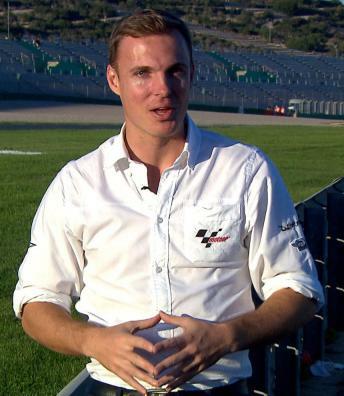 The opening day of the Gran Premio Motul de la Comunitat Valenciana bodes well for Danny Kent’s title challenge.